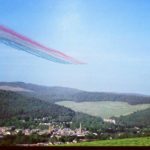 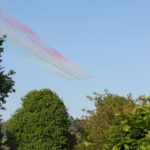 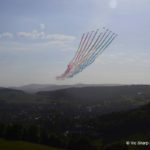 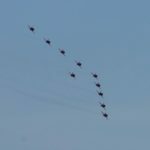 After eight years of fundraising the Alec Lucas Memorial Tournament and Family Fun Day for 2016 was brought to a close by a magnificent fly over by the Red Arrows. 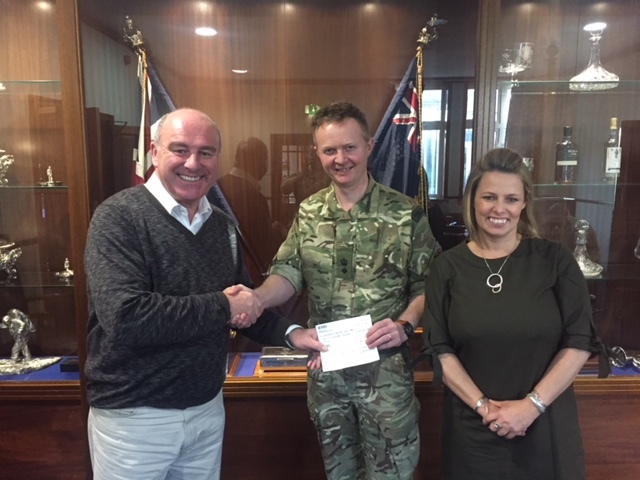 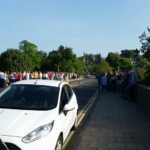 It was a magnificent sight and an emotional end to another fantastic community effort which has now raised over £125,000 for local football clubs and military charities. 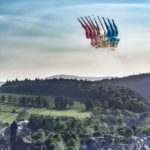 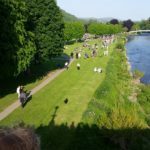 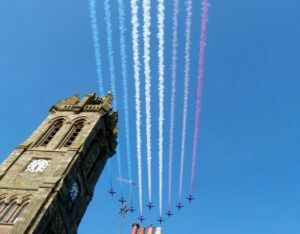 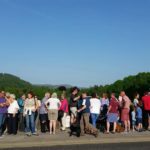 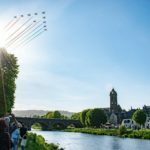 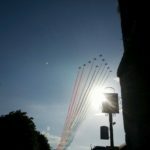 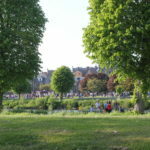 Crowds gathered all over Peebles to mark the occasion and at exactly 6:30 p.m. the Red Arrows, including Peebles pilot Stewart Campbell, flew down the Tweed Valley. 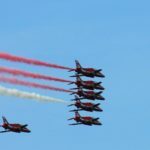 Adrian, Alec’s father, said “It was always going to be emotional knowing that this would be the last fun day, but it couldn’t have gone any better, The Red Arrows were absolutely awesome and a great way to end the day“.